ITZ Softball Academy Fields Club / Travel Softball Teams That Train & Play Year Round. In The Zone is lucky to have a great staff of high level coaches and trainers in place. Our program has a strong focus on player development so that to help players meet and exceed their goals, which strengthens our club / travel softball program. Our coaching staff is committed to helping players reach their full potential. Register for travel softball tryouts with In The Zone Softball Academy. Pre-Season Team Training: Pre-season practices run by two trainers based on the ITZ travel team training program. Focused and aggressive plan including proper warm-up techniques, multiple drill stations covering various individual and team skills, conditioning, and more. Planned and executed the right way to maintain a motivating and engaging atmosphere for the players. REACH YOUR POTENTIAL. TRAIN WITH THE BEST! Focused Skill Training: During select practices throughout the season, our top private instructors work with our travel team players bringing their expert skills and experience directly to In The Zone travel team players. In-Season Team Training: After pre-season completes, our NJ travel teams continue to practice and develop through the season, with two(2) practices per week run by the team’s head coach and an assistant trainer. Our travel team softball training program is monitored by our Director of Softball Programs throughout the travel softball season. Player Development & Assessment: From beginning to end, your coaches and trainers will track your player’s progress – Fundamental, Physical, and Mental. Each player has their own Player Development Plan that their coach and trainers will update regularly throughout the season. 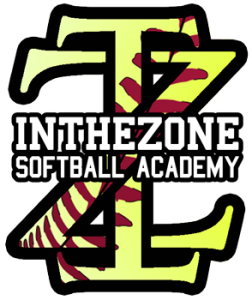 In The Zone was the first NJ travel team program to initiate the Player Development program and we continue to innovate and look for the best way to serve our players.